The oldest major golf championship in the world returns for its 147th tournament and is sponsored by none other than luxury watch giants Rolex. 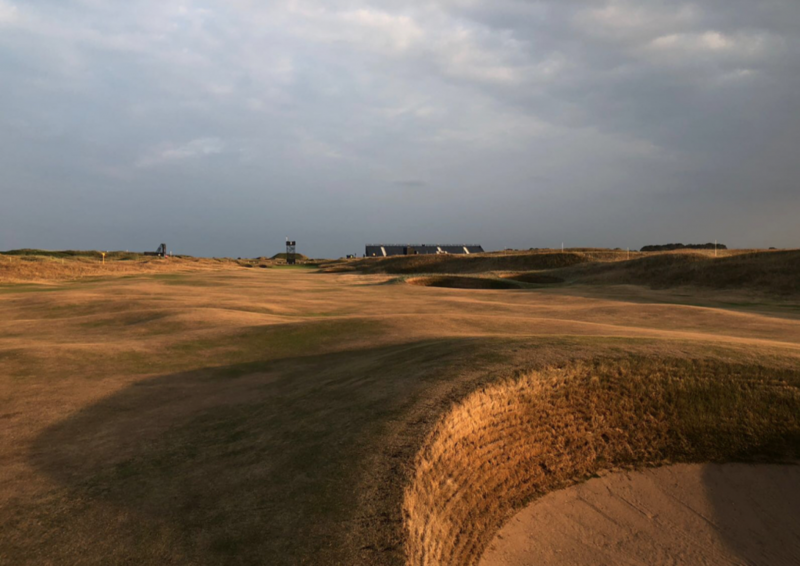 The British Open is known to everyone simply as The Open due to its august status, is welcomed back to Carnoustie, on Scotland’s wind-battered Angus coast. 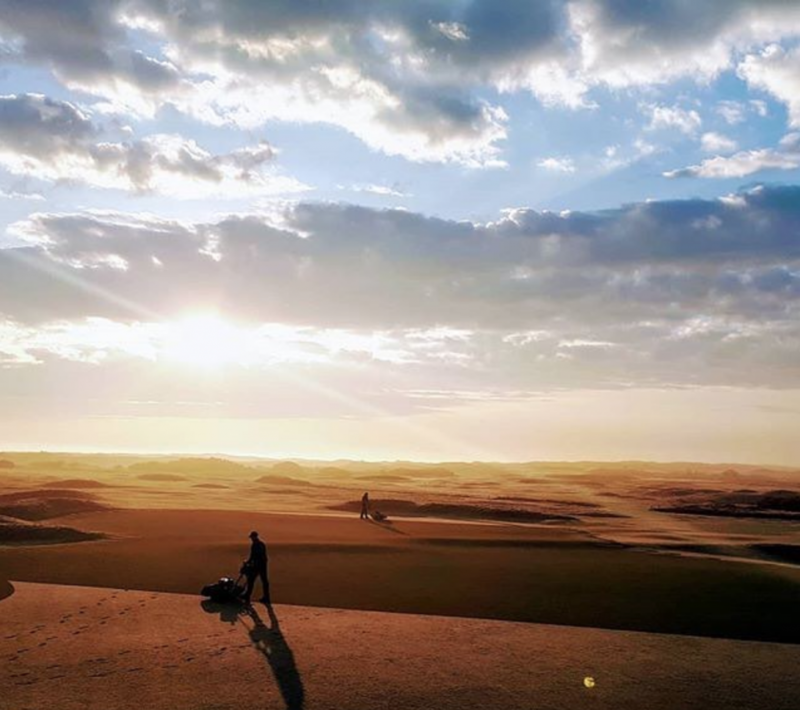 The longest course on the roster, at a total of 7,421 yards, as well as the furthest north, the sport’s greatest players will have do battle with the infamously narrow fairways, an incredible 112 bunkers, and the notoriously unpredictable Scottish weather. It is the first time since 2007 that Carnoustie has hosted the tournament, with the last winner here Irishman Padraig Harrington, who finished with a seven-under 277 after a dramatic play-off against Sergio Garcia. 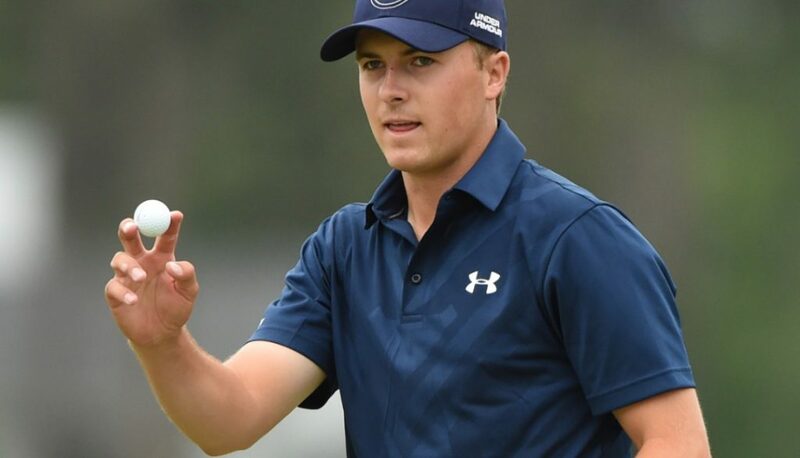 Returning champion Jordan Spieth from Dallas, Texas, looks to defend the title he won at Royal Birkdale last year with a 12 under-par 268, only the 24 year-old’s third major. The Open is the third of the four major golf championships held each year, and the only one played outside the U.S. Dating back more than 150 years, it first started on 17th October 1860 as a competition between just eight professionals competing over three rounds of Scotland’s Old Prestwick course. Although now known as ‘the home of The Open’, by 1925 Prestwick had proved too small to cope with the huge crowds the tournament was attracting. 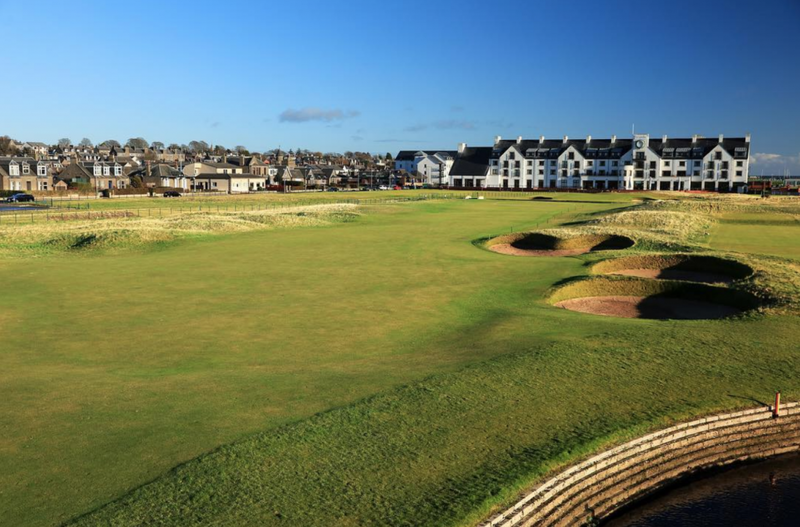 Its place in the rotation was filled by this year’s setting, Carnoustie. There are a total of ten links courses that play host to the event; five in Scotland, four in England and one soon returning to Northern Ireland after a near 70-year absence. Royal Portrush, on the glorious North Antrim coast, will hold the championship in 2019. Carnoustie was officially established in 1842, but records show golf has been played there since as far back as the 16th century. Although one of the oldest links in Britain, this is only the eighth time the course has hosted The Open, the first being in 1931. The club is now made up of three courses, with the Burnside Course and the shorter Buddon Links alongside the par 72 Championship course. 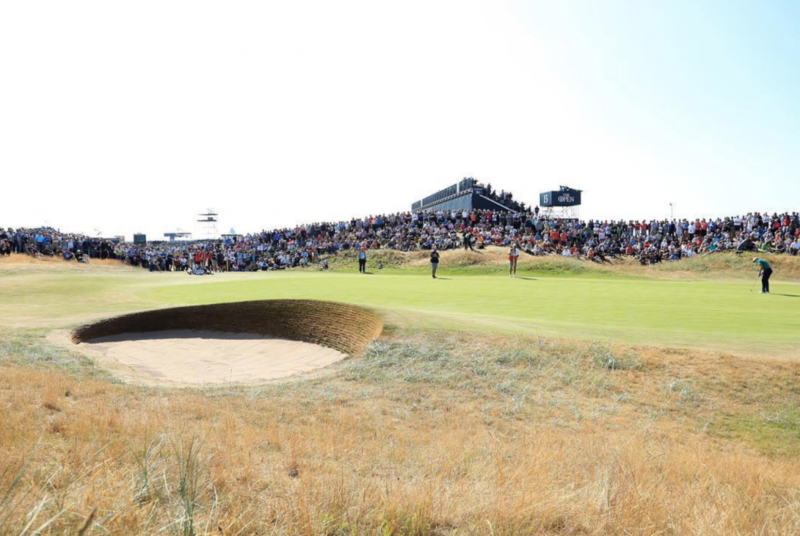 It is considered by many pros as the toughest nut on The Open’s circuit, and one of the most challenging in the whole world of golf; partly due to the long, constricted nature of the course itself, but also because of the often remorseless weather conditions. Famously nicknamed Car-Nasty, it proved challenging enough in 1999 that even the eventual winner finished six shots over par and the whole experience was enough to reduce a 19 year-old Sergio Garcia to tears. That was the year that also gave rise to the term The Carnoustie Effect—a now accepted psychological term that describes a type of trauma when something taken on with confidence proves to have a great deal of unforeseen difficulties. It has since been applied to everything from unexpectedly harrowing military operations to ‘sure thing’ stock market investments that turned out to be anything but. If the Scottish climate lives up to its reputation, expect this year to break a few more hearts. That’s not to say the course hasn’t thrown up its fair share of magic moments. In fact, one of the holes was even officially renamed after one legendary encounter with a particularly unflappable Texan. Number six, originally called simply ‘Long’, was later christened Hogan’s Alley following Ben Hogan’s appearance in the 1953 Open. A tight par 5, far safer up the right-hand side, Hogan opted for the more dangerous left on all four days to leave himself a better approach, threading between unforgiving bunkers on one side and the out-of-bounds rope on the other—and hit it every time. Nicknamed the ‘Wee Ice Mon’ by the locals for his exploits, he went on to win the competition that year, the only time he played The Open. Another, far less happy, incident occurred during that shocking 1999 tournament, when Frenchman Jean Van de Velde saw his five stroke lead collapse like a wet cake on the 18th hole. One perplexing club decision after another saw him flop to a triple-bogey seven, at one point even removing his shoes and socks and rolling up his pants to collect his ball from a burn. There followed a three-player, four hole playoff before Paul Lawrie, who had started the day 10 shots off the lead, took home the Claret Jug. And Tom Watson, one of the sport’s most enduringly popular figures, scored the first of his five Open titles here in 1975, winning the last ever 18-hole playoff in the tournament’s history against Jack Newton, including a chip-in eagle at the 14th, before the format was changed to a four-hole aggregate. Following on the heels of a windswept U.S. Open at Shinnecock Hills last month, where not one of the world’s best players could manage a par finish between them for the week, Car-Nasty’s unsheltered acres are likely to prove equally vexing if the weather decides to turn inclement. 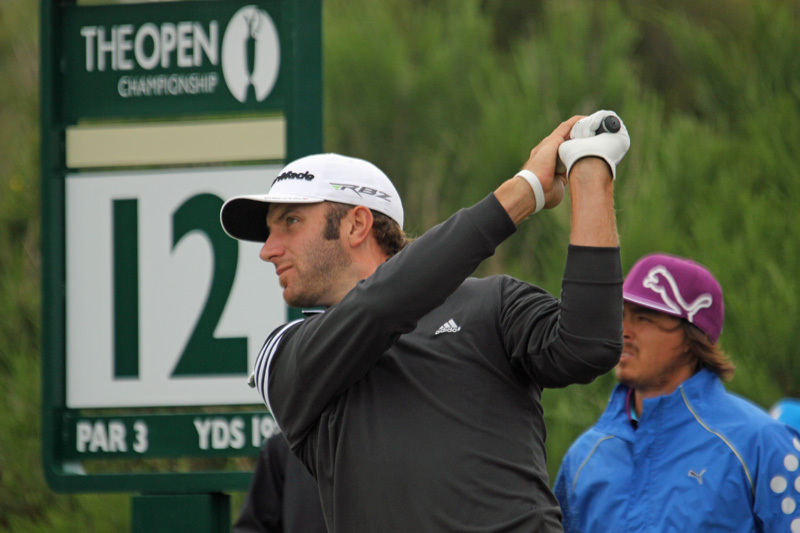 Bookies favorite is understandably the current top-ranked player, in the shape of Dustin Johnson at 12/1. 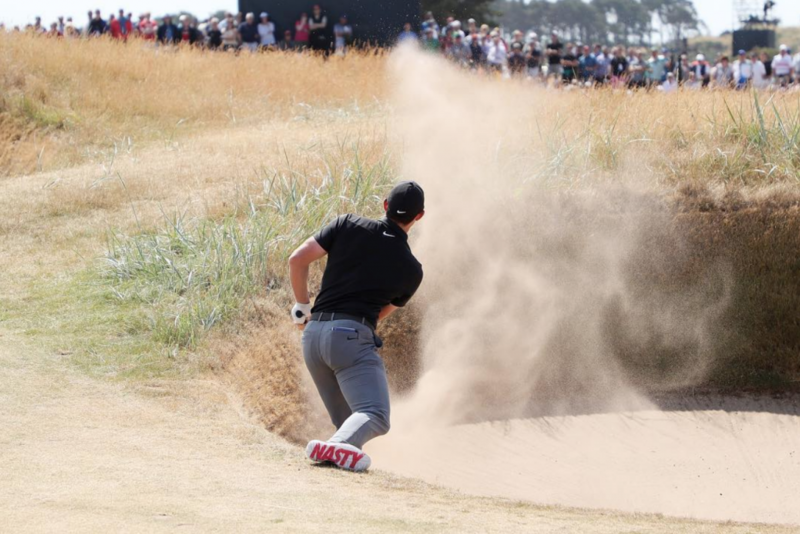 He finished third in the U.S. Open, although he was leading by four shots at the halfway mark, but his low, powerful shooting could give him an advantage on the windy Angus links. Can Spieth make the cut this time? Returning champ Jordan Spieth is presently in something of a slump, missing three cuts in his last seven tournaments, including back-to-back slip-ups at the Memorial and U.S. Open. 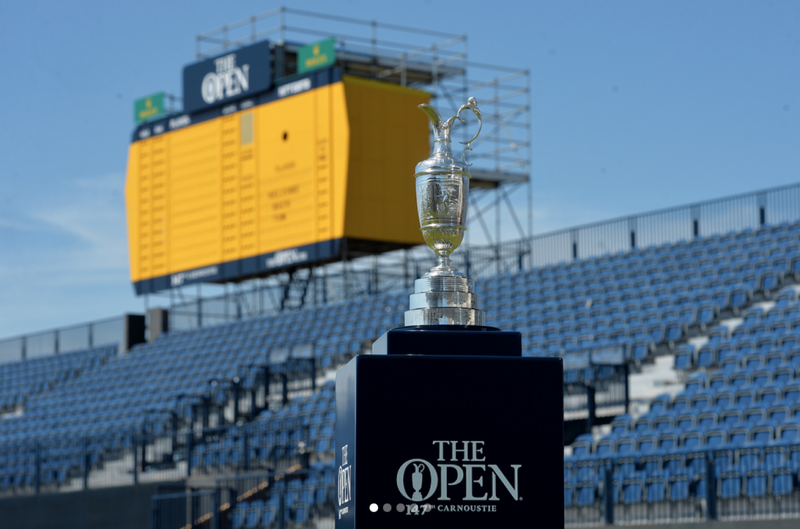 But the slower green speeds at Carnoustie could suit his more aggressive putting style, and he will be more eager than most to take back possession of the Claret Jug he relinquished to R&A chief executive Martin Slumbers in the traditional ceremony this week. Just behind Johnson with the bookies is Ireland’s favorite son Rory McIlroy. 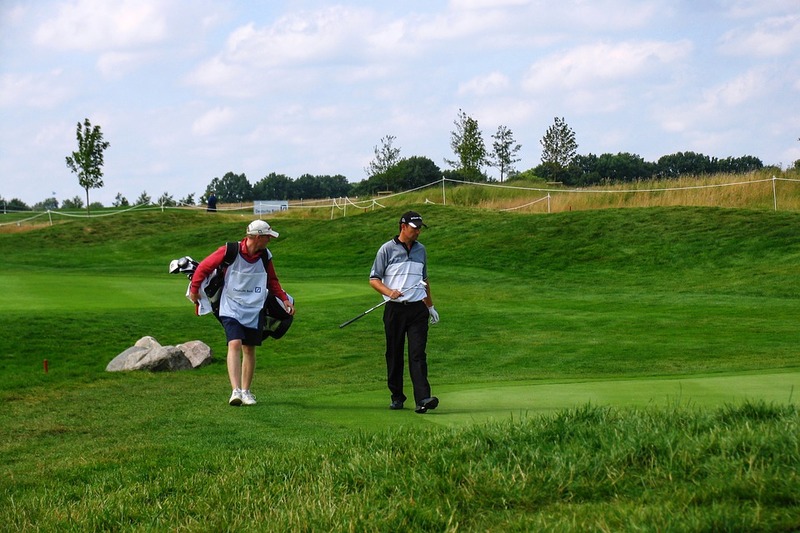 Now almost four years into a Majors drought, he has vowed an ultra-assertive approach, using the effects of the U.K’s recent heat wave on the course’s scorched fairways to his advantage to carry the ball further. The big hitter is hoping to take many of the most treacherously placed bunkers out of play with monster drives—a precarious strategy certainly, but McIlroy’s never been one to shy away from a risky play. And for the outsiders; Tiger Woods is back after two years of back injury misery that saw him undergo spinal fusion surgery. He’s already chalked up some impressive results this year, all things considered. While he may have missed the cut at Shinnecock, he finished second at the Valspar Championship in March and fourth in the Quicken Loans National this month. 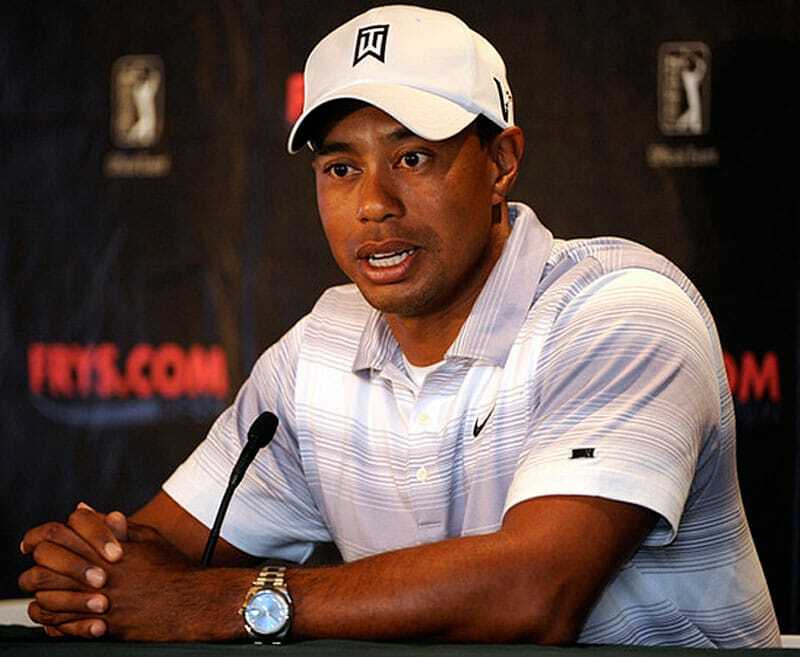 Woods has made no secret of his love for links courses, and he is a man used to winning things. Definitely not one to write off. Rolex celebrated half a century of golf sponsorship last year, a deep involvement with the game at every level, and has been patron and official timekeeper of The Open for more than three decades. 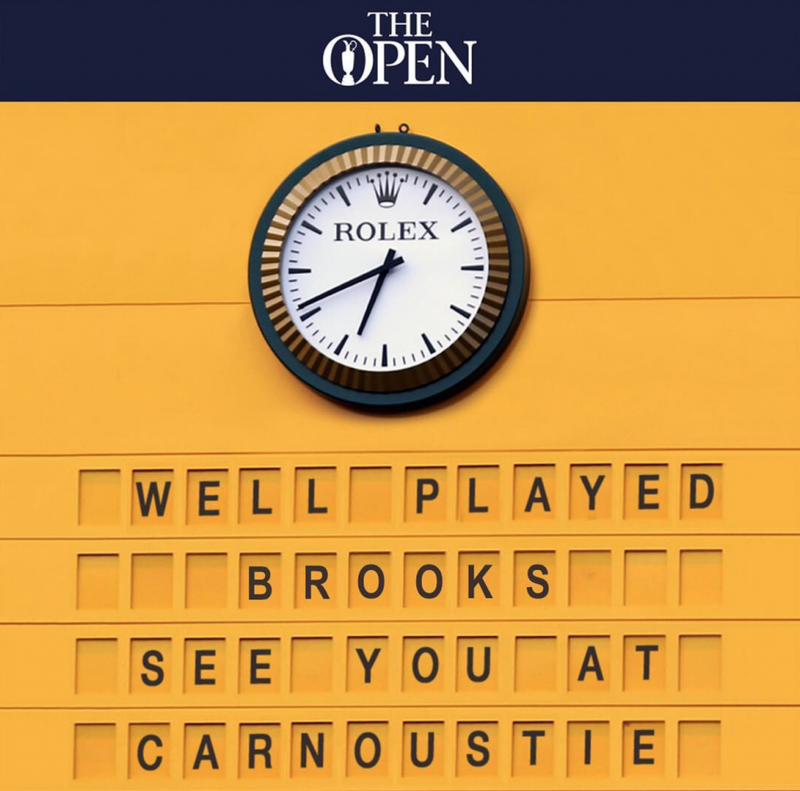 You will see those iconic green clocks and boards dotted all around the course at Carnoustie this week. It is a fitting sport for the manufacturer to be so involved with. Players and watchmaker alike strive for the utmost excellence in their performance, and work within the very finest margins between success and failure. The tournament this year will be played by a number of Rolex’s official Testimonees, a tradition that started in 1967 with the late, great ‘King of Golf’, Arnold Palmer. 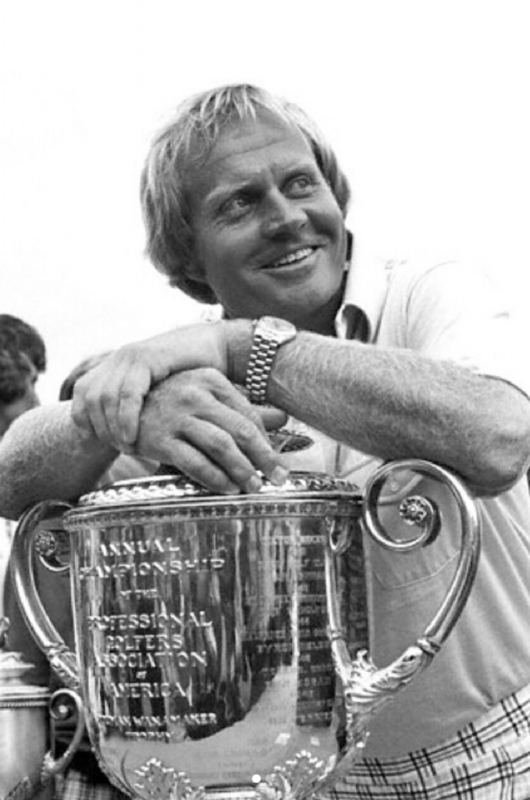 He became the brand’s first ambassador for the sport, and was soon joined by two other titans of the game, Jack Nicklaus and Gary Player; the fabled ‘Big Three’. Renowned as much for their sheer charisma and sense of style as for their thrilling play and incredible skill, they were the players who changed the face of golf. Now, modern day legends and the up-and-coming new guard take the stage, and Rolex’s backing is as strong as ever. The list of brand representatives includes illustrious names such as Tiger Woods, Phil Mickelson, Adam Scott, Justin Thomas and defending champ Jordan Spieth. Each appear to have their own particular favorite among Rolex’s catalog of timepieces. Where the big three were all lifelong Day-Date fans, today’s generation has a more diverse selection. 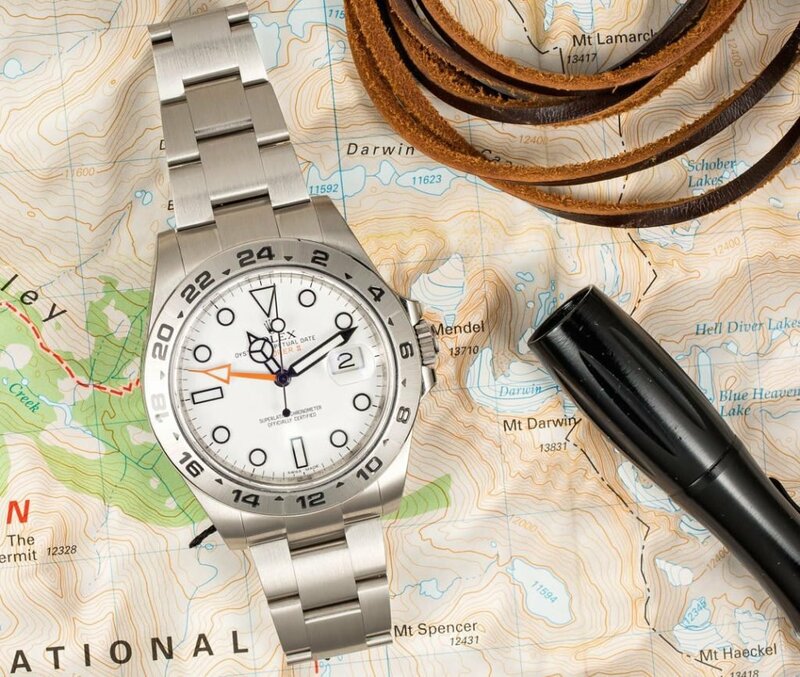 Spieth’s choice is the no-nonsense Explorer II with Polar dial, a serious watch for a young man but one that suits him to a tee (Ha!). And Adam Scott can often be seen sporting a beautiful steel and white gold Sky-Dweller with an ivory dial. With the skill and precision of golf exactly mirroring the commitment Rolex pour into each and every one of their watches, their alliance with the sport is expected to continue for many years to come. In fact, they have recently taken a vast step in their connection to the game by establishing The Rolex Series. Joining forces with the European Tour, the series is made up of eight of the most prestigious tournaments on the schedule—cash-rich marquee events held in some of the most iconic locations in the world. From supporting golf at the amateur level, through to sponsoring that most venerable of institutions, The Open, Rolex continue to raise the standards for the sport, bringing with them their time-honored pioneering spirit and their constant striving for perfection.